Everyday we have many choices to make. The other day I was reading an article called Non-negotiable willpower. It was talking, mostly, about excuses we use for not exercising. The concept can be applied to all aspects of life. It got me thinking, if we are so easy to form excuses for the things we want, then are we really being successful? How do we define success? I am not talking about the dictionary definition of success. Which in case you want to know is, “the accomplishment of an aim or purpose” according to Google. I am talking about what makes each day a successful one to you? Is it waking up early, being on time, getting dressed decently, or maybe something as simple as doing the dishes? For me, a successful day means many things to me. Ultimately, it’s ensuring the health and happiness of my children. There are many days when I don’t feel successful, especially as a mom. I put a lot of pressure on myself to be my best, which is absolutely necessary. That doesn’t mean I need to be perfect. Nobody is perfect, I don’t believe there is such a thing. That doesn’t mean we cannot be successful. The little victories remind me that I am capable. For instance, there are many days where I cannot seem to finish a load of laundry. In fact, my husband does most of the laundry around here because my obligations are usually elsewhere. Today though, I managed to wash a load of laundry (I am the best at loading the washer). Usually, on most days, it never ends up in the dryer until Chris gets home and either does it himself or reminds me (unknowingly) that it needs to go in the dryer. Today, after a hectic night and morning with the kids, I managed to get that darn load into the dryer, too! I know some people measure success by what job they have or how much money they make. I think it goes deeper than that. I think success can be defined by what makes us happy and accomplishing that. For some, that is indeed having a specific job or certain amount of money. Either way, at the end of the day, I don’t want to come to the end of my life wishing I had more victories. I want to be the best person I can be, not only for my husband and kids, but ultimately for myself. 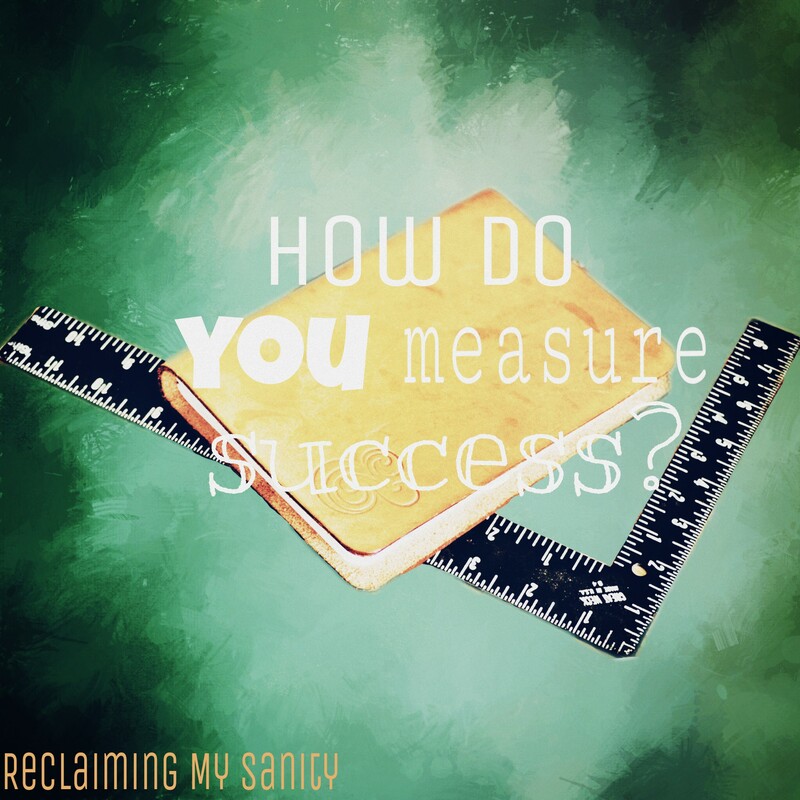 How do you measure success? 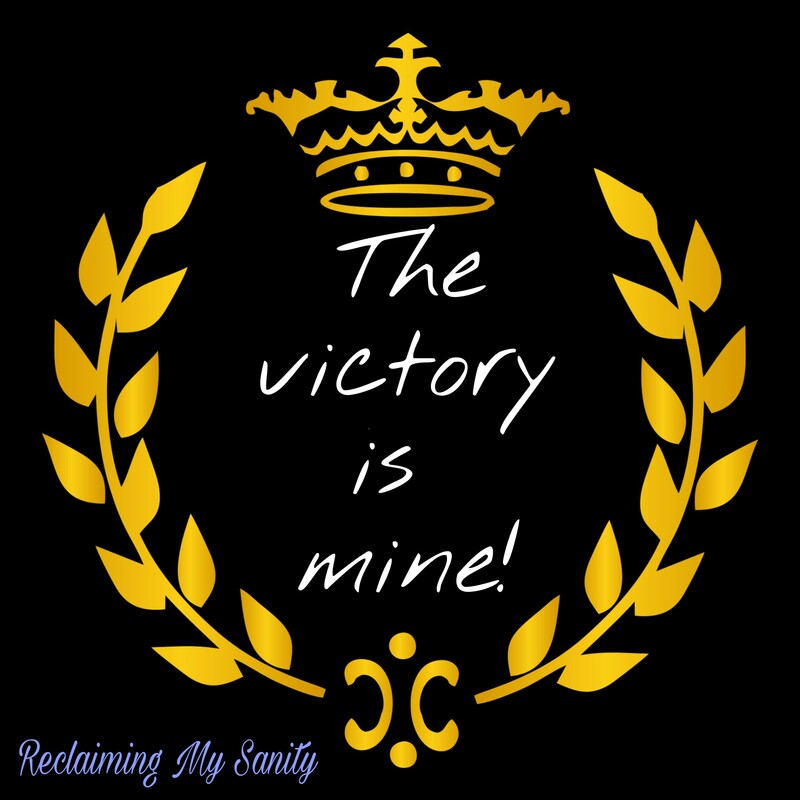 What are your victories each day? Great question. For me success is every single day,every single breath ,every smile of my family, every day when I am happy,every day when I learn something new…. I think that is a great answer! !